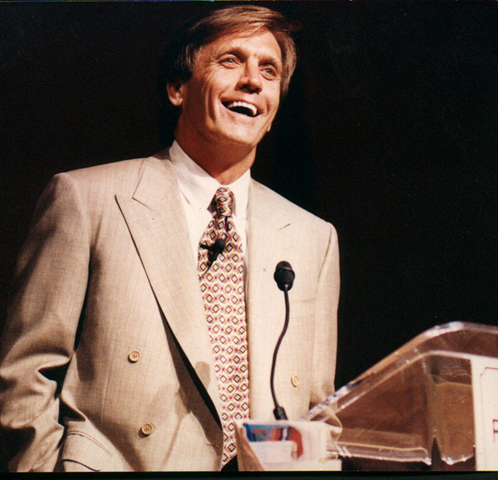 The History Channel will be shipping DVDs of The Real Face of Jesus beginning April 5, 2010. The price is $24.95. Click here to order. Yellow Dog Patrol tells us in a posting, “History Channel and The Shroud of Turin: The Face of Jesus:"
I’ve always marveled at the Shroud and what it could potentially mean, however with the Carbon-14 dating done some years back, I’ve been less enamored. This special changed all that for me. All of the best scientist still have no idea on how the image got there. It definitely was not printed or painted, and our current technology can’t replicate anything like it. Although I was interviewed for this documentary and included throughout the two hours, I never saw the production until it aired tonight. First reaction: Excellent. Best Shroud of Turin documentary ever produced. If you missed it, check the History Channel listings for this week and make a point of seeing it. GREAT INTERVIEW: Click here for Good Morning American five-minute segment on the Face of Jesus. The Real Face of Jesus airs on the History Channel Tuesday. 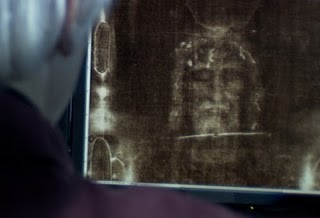 It employs encoded blood from the shroud of Turin to reconstruct Jesus’s face using computer imaging. The picture they released of Jesus makes him look half Jewish, which explains his mother’s side, and half English, which Episcopalians say explains his Father’s side. ArgusJokes.com: Argus Hamilton’s column for 3-30-10 . 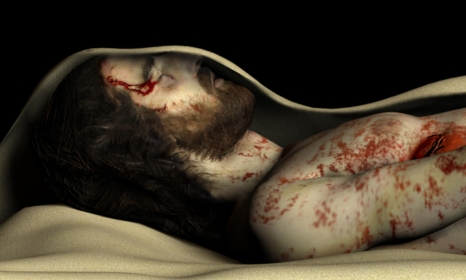 If you want to see “The Real Face of Jesus” (9 p.m., History, TV-PG), you must first take in a two-hour meditation on the history, legend and meaning of the controversial Shroud of Turin. Experts follow the trail of ownership of the shroud over the centuries and discuss its popular following. Interest in the shroud shot up in the early part of this century when an Italian photographer took a snapshot of the cloth and discovered a clear vision of a Christ-like figure in his photo negative. Are shroud followers praying to an image? Or an image of an image? That is a bad choice of words, those last two sentences. Followers? There are countless scholars and interested people who would describe themselves as just about anything other than a follower. And, I for one, and many others that I know, do not pray to an image. “Face” meanders into interesting territory when some experts conjecture that the shroud itself might be a kind of cosmic photo negative and evidence of what one calls “a paranormal event.” The marks on the cloth are too faint to have been made by paint or human blood and may be residue from a supernatural blast of light. Proof, some say, of the resurrection. Faith or forensics? | SouthCoastToday.com . Here is a story from Fox News. The first ever 2–hour special on the Shroud airs March 30, 9:00pm ET/PT on History and History HD.